Junior College. 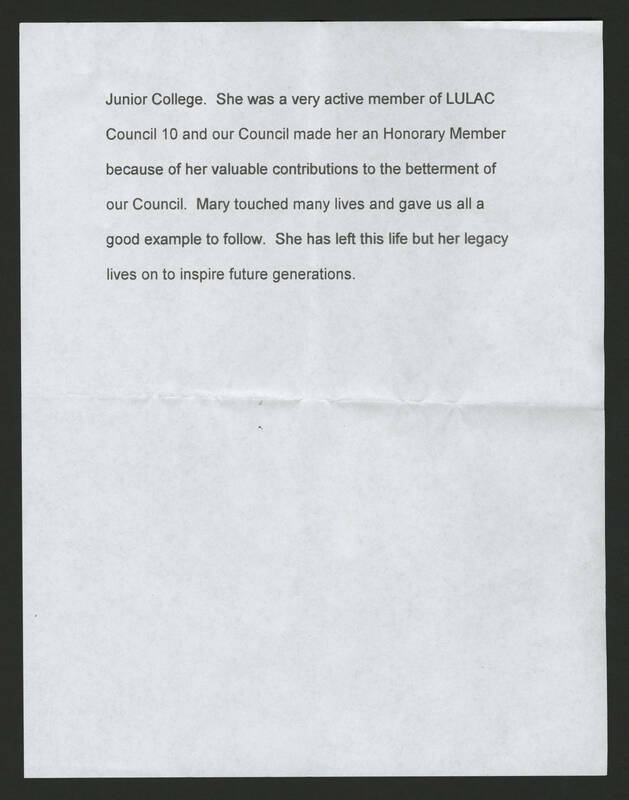 She was a very active member of LULAC Council 10 and our Council made her and Honorary Member because of her valuable contributions to the betterment of our Council. Mary touched many lives and gave us all a good example to follow. She has left this life but her legacy lives on to inspire future generations.